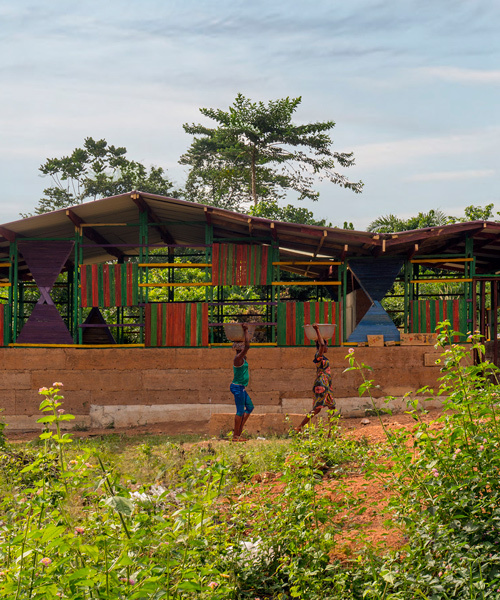 architecture in ghana surveys the contemporary condition of the country’s built environment, showcasing a range of innovative projects and the diverse materials and unconventional forms employed in their construction. 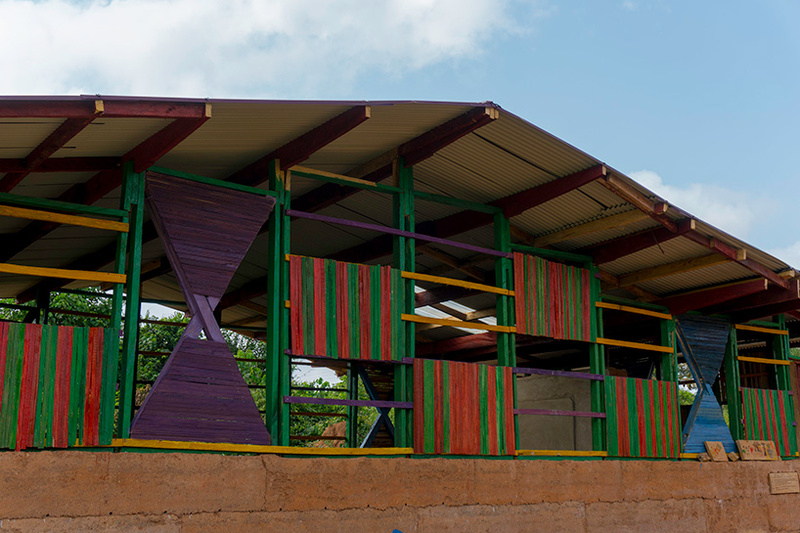 using local materials and construction techniques, spanish architect alberto figueroa has developed a prototypical classroom that forms part of a high school campus in ghana’s ashanti region. 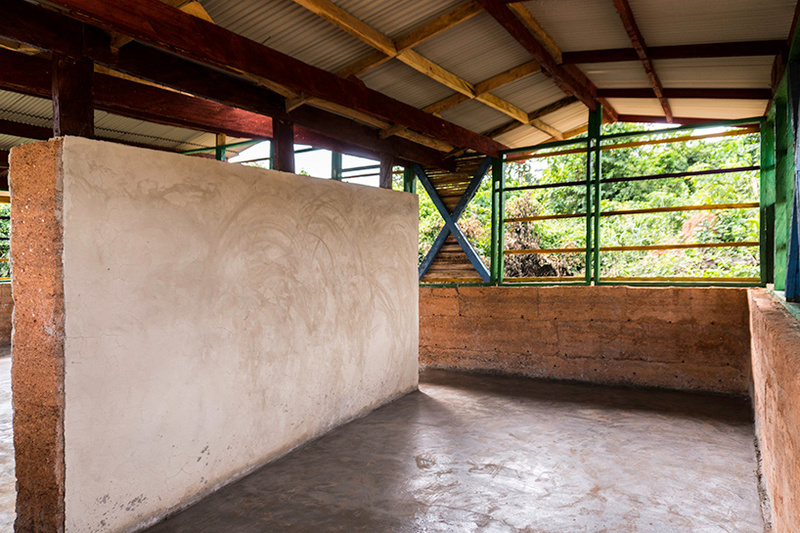 in addition to engaging local workers, the project also benefited from international volunteers — both architecture students and graduates — who were able to experience sustainable construction systems, such as rammed earth, firsthand. 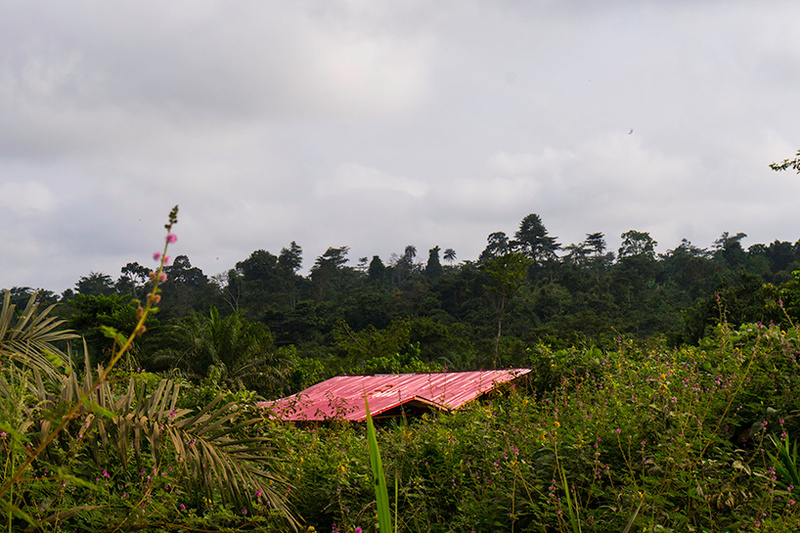 the project, which has been documented in full on alberto figueroa’s website, is the result of an international competition organized by the non-profit NKA foundation. the building’s planned configuration was redesigned on site in accordance with its context. its orientation and geometry minimize exposure to direct sunlight, while maximizing indirect sunlight and eliminating the need for artificial lighting. 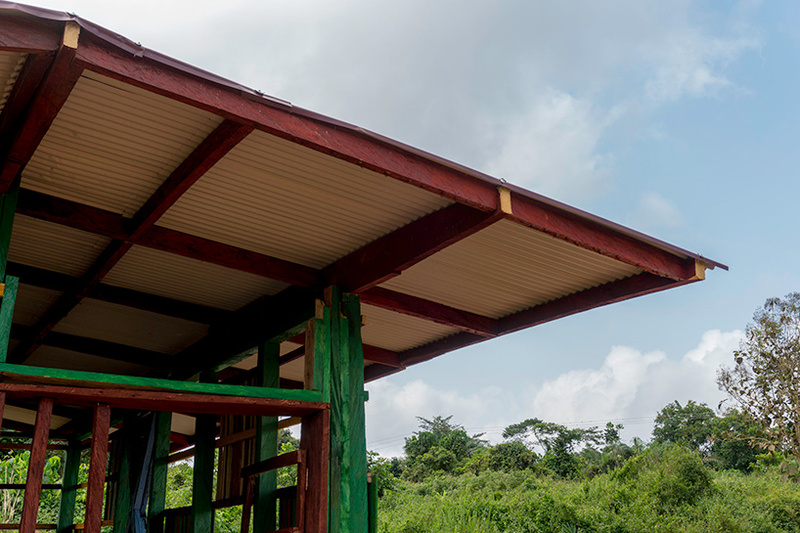 overhead, the roof not only collects rainwater to be used for future washrooms, but also ensures a good acoustic environment. 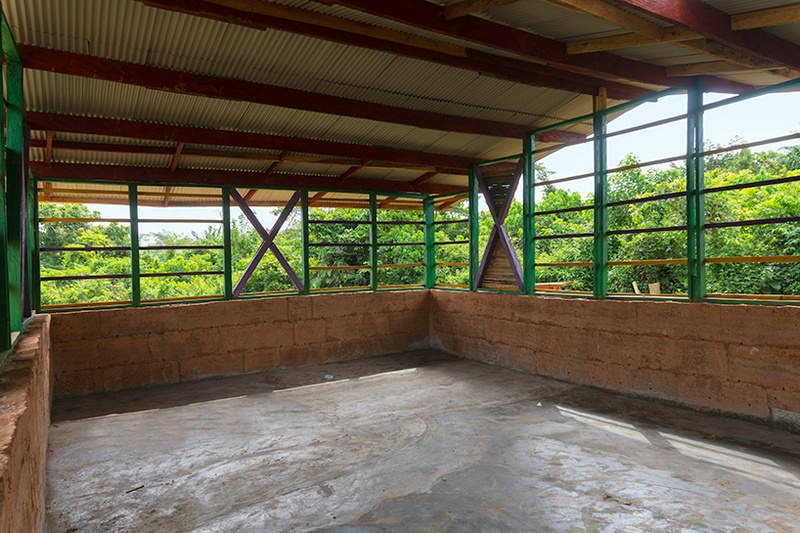 internally, the scheme comprises a classroom as well as a lobby space that provides storage, and a study/reading space for students. 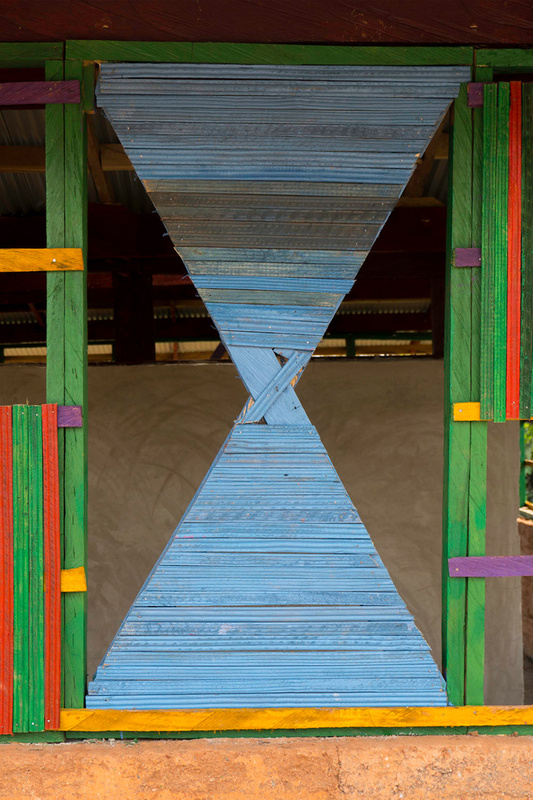 meanwhile, the color and geometry of the façade references kente — a manually woven fabric native to the akan ethnic group of south ghana. 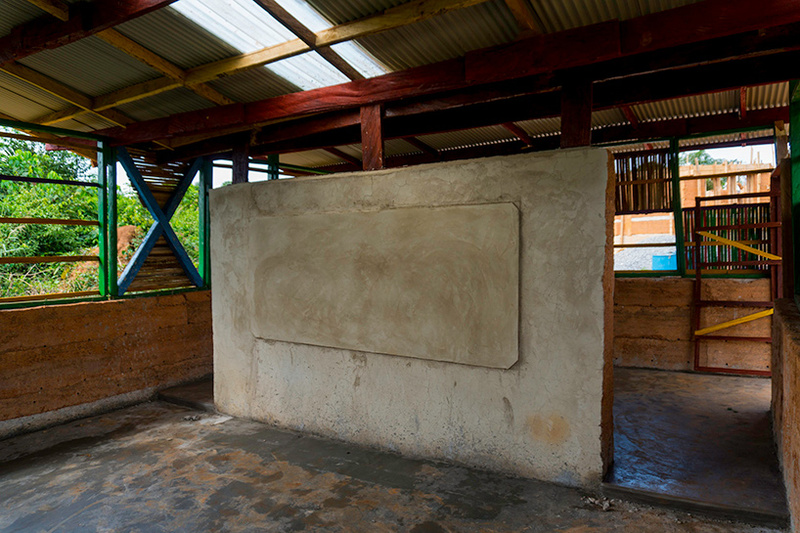 the building was constructed using two different techniques: rammed earth for the building’s base, and, above, a wooden structure that allows for cross ventilation, indirect sunlight, and a visual connection with the surroundings. Thank you guys for the article!